Former Notre Dame of Fairfield basketball and baseball star Tony Barr, left, shakes hands with school president Rev. William Sangiovanni during a visit to his former high school in Fairfield, Conn. on Thursday, May 2, 2013. Barr served over twenty years in prison for drug trafficking. Funeral services have been set for Rev. William Sangiovanni — known as “Father Bill” to generations of students at Notre Dame High School in Fairfield — who died Monday morning. He was 77 years old. Bridgeport Diocese Bishop Frank J. Caggiano said, “the overwhelming sense of loss that many are feeling upon his death is a tribute to his vitality and vision, and the gift of his friendship experienced by so many people in our diocese and beyond. Friends may call from 3 to 7 p.m. on Friday in Notre Dame High School, 220 Jefferson St., Fairfield, with a Vigil Mass from 7:to 8:00 p.m.
Friends are invited to attend the funeral at 11 a.m. on Saturday at St. Thomas Aquinas Church, 1719 Post Rd., Fairfield with a Mass of Christian Burial. Interment will follow in Oak Lawn Cemetery, Fairfield. Perhaps best known for his service as principal and later president of Notre Dame High School in Fairfield, Father Sangiovanni also worked in state and local government before becoming a priest and brought an entrepreneurial skill to his ministry and public service. His creation of the annual GarlicFest as a fundraiser for Notre Dame High School brought new energy and local and national attention to the school, after he was appointed principal by Bishop Edward M. Egan in 1994. 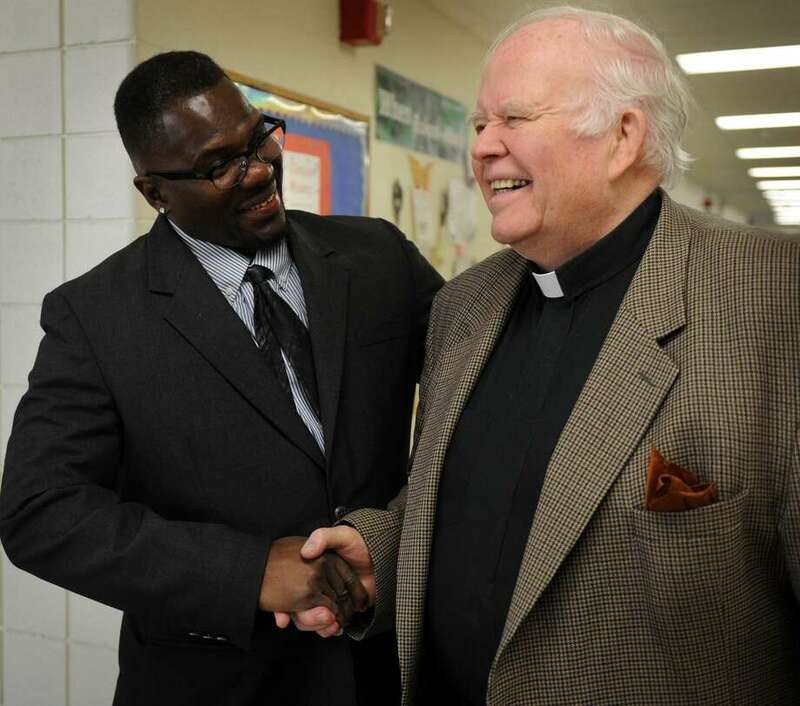 He was named president of the school by Bishop William E. Lori in 2010. On March 19, 2017, Father Sangiovanni celebrated his 40th anniversary as a priest, and he was honored at the 60th anniversary celebration of Notre Dame High School.